Vitamin E is the post popular oil soluble antioxidant. Vitamin E is NOT a single substance. Vitamin E comes in many different forms. 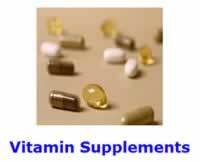 There are at least eight different naturally occurring forms of Vitamin E. Do NOT trust any article that treats Vitamin E as a single substance. Medical authorities often wrongly refer to d-gamma-tocopherol as being the natural form of Vitamin E; as justification for NOT taking supplements of Vitamin E.
D-alpha-tocopherol is considered to have the highest biological activity, of all the different forms of Vitamin E, because it is continually being recycled by the liver. Take the mixed form, or better, of Vitamin E twice a day. Vitamin E is defined by chemists as eight naturally occurring forms which can be found in food: four tocopherols (d-alpha-tocopherol, d-beta-tocopherol, d-gamma-tocopherol, and d-delta-tocopherol) and four tocotrienols (d-alpha-tocotrienol, d-beta-tocotrienol, d-gamma-tocotrienol, d-delta-tocotrienol). Normal blood plasma consists of 83% d-alpha-tocopherol and 13% d-gamma-tocopherol forms of Vitamin E. Long term supplementation with just an d-alpha-tocopherol Vitamin E supplement results in blood plasma levels of d-gamma-tocopherols being lowered by 30-50%., This negative is offset by an increase in alphas Vitamin E by 200-400%. There are many benefits of Vitamin E. The d-alpha-tocopherol form of Vitamin E protects against lipid peroxidation and polyunsaturated fat. D-gamma-tocopherol protects against nitrogen free radicals. Tocotrienols can help to unblock arteries. The dietary intake of the d-gamma-tocopherol form of Vitamin E by North Americans is generally higher than that of d-alpha-tocopherol. Thus, some medical authorities incorrectly refer to d-gamma-tocopherol as being the natural form of Vitamin E. Nevertheless, total Vitamin E daily intake from diet alone rarely goes higher than 30 IU's a day. While the d-alpha-tocopherol form of Vitamin E is considered to have the highest biological activity,  (i.e., d-alpha-tocopherol is continually being recycled by the liver,) and comprises the highest molar concentration of lipid soluble antioxidants in man; d-gamma-tocopherol, at least in vitro, is the stronger antioxidant. In rats approximately 50% of the d-alpha-tocopherol form of Vitamin E is bound to high density lipoproteins (HDL). There is also a preferential enrichment of very low density lipoprotein (VLDL) with the d-alpha-tocopherol form of Vitamin E. After intestinal absorption and transport with chylomicrons, d-alpha-tocopherol is mostly transferred to the parenchymal cells of the liver, with a transfer protein that is specific for d-alpha-tocopherol, where most of the fat-soluble Vitamin E is stored. Chylomicrons are a class of lipoproteins that transport exogenous (dietary) cholesterol and triglycerides from the small intestine to tissues after meals. Synthesized in the intestinal mucosa and carried via the intestinal lacteals and lymphatic system to the blood stream, they are then degraded to chylomicron remnants in the capillaries of muscle and adipose tissue through cleavage of most of their triglycerides by endothelial lipoprotein lipase. These remnants are rapidly cleared by the liver by receptor-mediated endocytosis. Taking supplements that contain equal amounts of both the d-alpha-tocopherol and the d-gamma-tocopherol forms of Vitamin E results in equal increases of both tocopherols in the blood plasma. This is because there is no discrimination between the tocopherols during absorption and secretion in the chylomicrons where Vitamin E is absorbed in the Small Intestine., However, in fasting humans, the plasma tocotrienol concentration is NOT significantly increased after tocotrienol supplementation. Thus, the transport, tissue concentration, and relative biologic functions of the tocopherols and the tocotrienols are disparate and possibly unrelated. The tocopherols are handled differently by the liver. In the rat about 90% of total body mass of the d-alpha-tocopherol form of Vitamin E is recovered (i.e., recycled) in the liver, skeletal muscle and adipose tissue. The liver, however, secretes all the d-gamma-tocopherol into the bile. D-gamma-tocopherol is then eliminated from the body. Thus, the liver rather than the intestine is where the body discriminates between d-alpha-tocopherol and d-gamma-tocopherol. The d-alpha-tocopherol form of Vitamin E is reused, but d-gamma-tocopherol is NOT. D-gamma-tocopherol behaves in many respects like a water soluble vitamin. Thus, taking several small dosages throughout the day of d-gamma-tocopherol should be better than taking a single huge dose. So, what is a person to do? Since both the d-gamma-tocopherol and the d-alpha-tocopherol forms of Vitamin E are important, you should maintain high plasma levels of both by taking supplements of both. The biggest bang for the buck comes from using ONLY the standard Mixed formula that contains 80% of the d-alpha-tocopherol form of Vitamin E . This assures that a supply of d-gamma-tocopherol is supplied along with d-alpha-tocopherol that approximates the ratios of both found in normal human blood. A better choice would be to alternate the Mixed form of Vitamin E with a Specialty Vitamin E product that contains more d-gamma-tocopherol than d-alpha-tocopherol. This type is hard to find, but a few of them are out there. These product names usually include the word gamma. The best for your health, and most costly approach, would be to take just the specialty d-gamma-tocopherol product. Supplementing with tocotrienols is for individuals with money to burn. Traber MG; Kayden HJ. Preferential incorporation of alpha-tocopherol vs gamma-tocopherol in human lipoproteins. Am J Clin Nutr, 1989 Mar, 49:3, 517-26. Hayes KC; Pronczuk A; Liang JS. Differences in the plasma transport and tissue concentrations of tocopherols and tocotrienols: observations in humans and hamsters. Proc Soc Exp Biol Med, 1993 Mar, 202:3, 353-9. Traber MG; Burton GW; Hughes L. Discrimination between forms of vitamin E by humans with and without genetic abnormalities of lipoprotein metabolism. J Lipid Res, 1992 Aug, 33:8, 1171-82. Chow CK. Distribution of tocopherols in human plasma and red blood cells. Am J Clin Nutr, 1975 Jul, 28:7, 756-60. Baker H; Handelman GJ; Short S. Comparison of plasma alpha and gamma tocopherol levels following chronic oral administration of either all-rac-alpha-tocopheryl acetate or RRR-alpha-tocopheryl acetate in normal adult male subjects. Am J Clin Nutr, 1986 Mar, 43:3, 382-7. Meydani M; Cohn JS; Macauley JB. Postprandial changes in the plasma concentration of alpha- and gamma-tocopherol in human subjects fed a fat-rich meal supplemented with fat-soluble vitamins. J Nutr, 1989 Sep, 119:9, 1252-8. Christen S; Woodall AA; Shigenaga MK. gamma-tocopherol traps mutagenic electrophiles such as NO(X) and complements alpha-tocopherol: physiological implications. Proc Natl Acad Sci U S A, 1997 Apr, 94:7, 3217-22. Drevon CA. Absorption, transport and metabolism of vitamin E. Free Radic Res Commun, 1991, 14:4, 229-46. Bierenbaum, M.L., T.R. Watkins, A. Gapor, M. Geller, A.C. Tomeo. 1995. Antioxidant effects of tocotrienols in patients with hyperlipidemia and carotid stenosis. Lipids 30: 1179-1183. Vitamin E Is Nature's Master Antioxidant. Scientific American (March April 1994): 54-63.